Now what I’m about to tell you is legend, and a mighty fine one at that. Somewhere high in the skies above dangerous lands, the members of a gothic/industrial ba nd called Abney Park took control of a time-traveling dirigible called the Ophelia. From then on, this band of misfits and hooligans set out to become the most notorious of all airship pirates. They shared their many adventures through music and printed page. 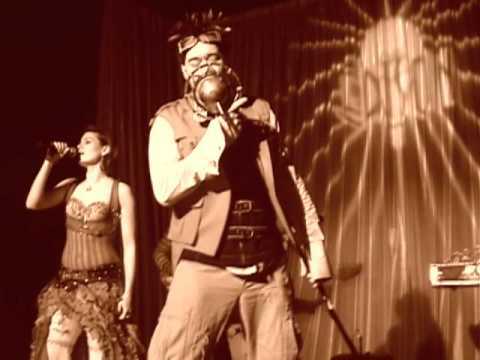 Before too long, they were crowned the most popular Steampunk band in the land. Until the night a good Fairy friend and an Angel in Black fluttered into town with tickets to The Time Traveler’s Ball. This night of festivities capped the first day of FaerieCon West in Seattle – a gathering of kindred spirits from villages far and wide. 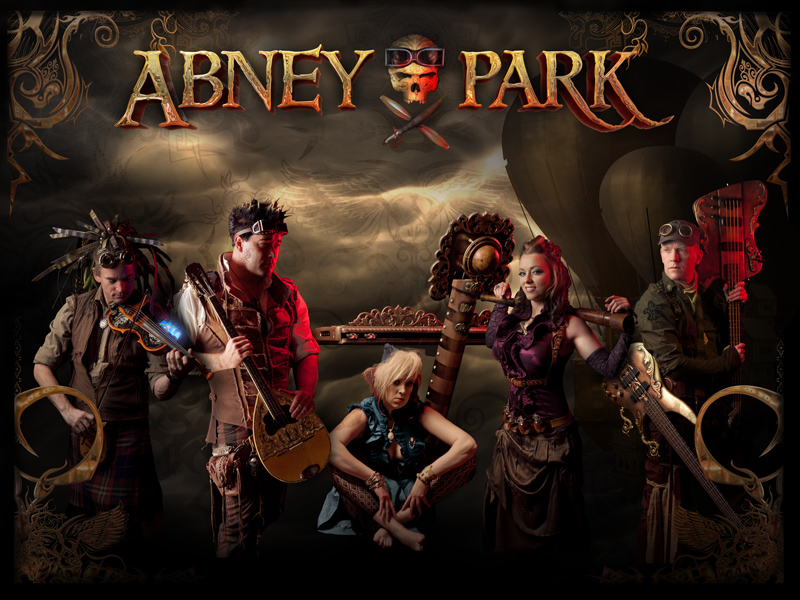 The headline act was this so-called Abney Park. How they miraculously landed Ophelia without snagging her gasbags on the Space Needle is beyond me. The crowd went crazy as they stormed the stage. The men, so handsome and strong, led by the dashing Captain Robert Brown. 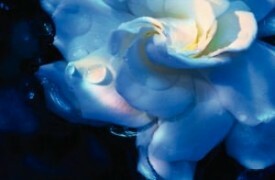 The women, so exquisite and alluring, were also tough enough to make any brute think twice before provoking any trouble. Abney Park’s intense rhythms, dragon-sized hooks and tribal beats transported everyone into another dimension for a few glorious hours of dance and good cheer – and then, just like thieves in the night, they were gone. Jules Verne stories, performed by latter-era Gogol Bordello, produced by early Nine Inch Nails, blasting through the speakers of a vintage Victrola. But why was Abney Park headlining at a FaerieCon? 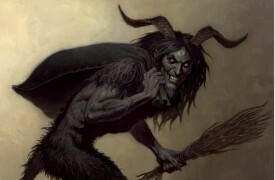 What was the fairy/faerie connection? Any fey sporting the trappings of steampunk would certainly be on the grittier side of the feather and horn, but were they mutually exclusive? Some have a hard time aligning the two, but others argue that it was only a matter of time. Brigid Ashwood said it well in Faerie Magazine (republished on Wired in March, 2011), “Steampunk fairies mix the dark fey of myth with urban decay, grease, and mischief. 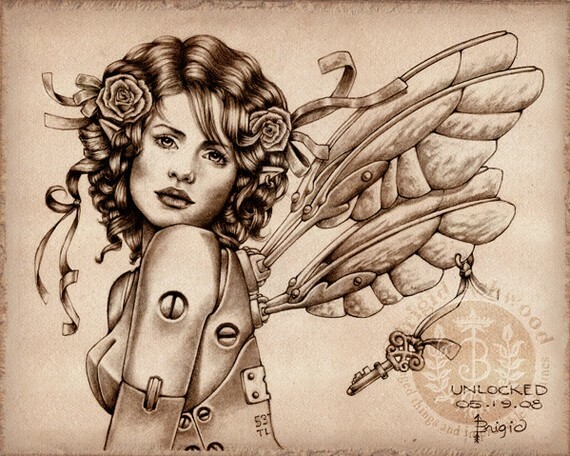 Cast off from a dying society they lurk at the edges, eking out a dire existence amidst smog and ruin.” Ashwood’s stunning illustration of fairy in steampunk, “Unlocked,” appears above (and is available at her etsy store). Plus hundreds of fan photos – the very awesome people you will likely meet when you check out the band on tour. 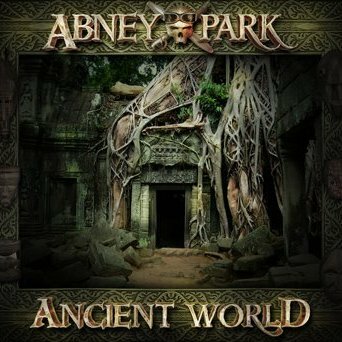 For tour dates, CDs, downloads, posters, literature and the band’s signature Steampunk attire, visit their robust marketplace at www.abneypark.com. 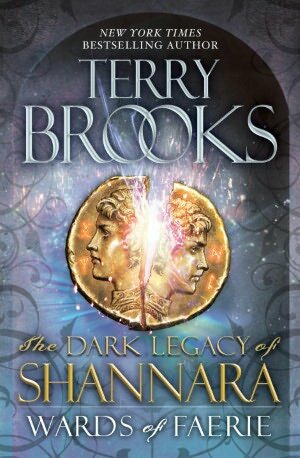 Tamani looked at her gravely, and reached up to tuck her hair behind her ear. He hesitated for an instant, then his hands found the sides of her face, pulling her to him. He didn’t kiss her, just held her face close to his, their foreheads resting together, their noses almost touching. We hope some of our Arizonan readers caught Aprilynne Pike at Phoenix Comicon last weekend (highlighted in our Events Roundup)… for those of you on farther east, she continues her book tour next week, moving into Pennsylvnia, Ohio, and Illinois. Information about this news series is very scarce and precious right now… there is not a review to be found, be it professional or in the Goodreads community. Earlier this month Grim Oak Press auctioned off a signed Advanced Reader Copy of Wards of Faerie (proceeds going toward the medical bills of Terry Brooks’s webmaster since battling cancer) and it a fan quickly usedthe Buy It Now button to get that ARC for $1000. When the inside scoop is a little less costly, we will tell you about it here! Ellen Kushner’s World Fantasy Award-winning novel is a retelling of the Child Ballad of Thomas Learmonth/Tam Lin set in the thirteenth century. 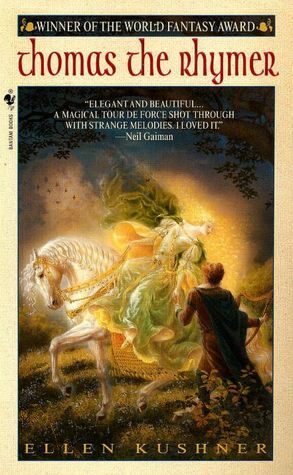 The ballad is a Scottish classic that has inspired stories from Patricia Wrede, Raymond Feist, and Dianna Wynne Jones, but this story from Ellen Kushner is one of the most celebrated. 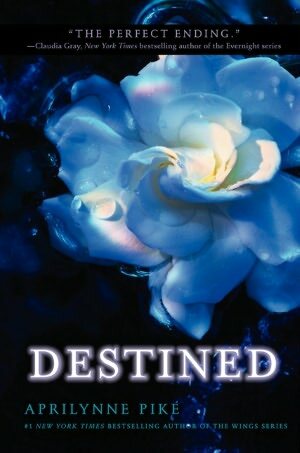 contemporary novel about the mysteries of the human heart. Brimming with ballads, riddles, and magical transformations, here is the timeless tale of a charismatic bard whose talents earn him a two-edged otherworldly gift. A minstrel lives by his words, his tunes, and sometimes by his lies. But when the bold and gifted young Thomas the Rhymer awakens the desire of the powerful Queen of Elfland, he finds that words are not enough to keep him from his fate. As the Queen sweeps him far from the people he has known and loved into her realm of magic, opulence—and captivity—he learns at last what it is to be truly human. When he returns to his home with the Queen’s parting gift, his great task will be to seek out the girl he loved and wronged, and offer her at last the tongue that cannot lie. Look for another three Fantastic books from FairyRoom this time next week! In the massively multiplayer online role playing game (MMORPG) World of Warcraft (better known by many as “WoW”), a mysterious ritual in a remote part of the game’s landscape takes place. High in the wooded hills of Tirisfal Glades is a hidden glade called the Whispering Forest where a ring of mushrooms marks the location of a strange event. A lucky traveler might witness the rare appearance of seven creatures, part fairy, part dragon. They fly in a slow dance around the circle, then perform a mystical display of light within the ring of magical glowing mushrooms. When they do this, the woodlands resonate with a soft unearthly music. The ritual is easy to miss, and once it has been completed the faerie dragons (also called “darters,” or in this case specifically “Fey-Drunk Darters”) quickly disappear again into the stillness of the forest. It is likely that the ring of glowing mushrooms and the faerie dragon ritual were added to the game as merely a bit of fun, but many players have speculated extensively as to the possible implications of the event to the overall story of the game world. Not much is known about the faerie dragons other than that they are benevolent protectors of nature, and that they often ally with the druids of the world, who are also dedicated to the preservation of the natural order. Some believe that the faerie dragons in the Whispering Forest are performing a binding ritual to keep an Old God—a creature of great power and evil—bound deep in the earth. Others believe that the ritual is connected to the Emerald Dream; an alternate dimension of the world that is a pure reflection of nature untarnished, and the place from which druids in the World of Warcraft draw their power. Regardless of its possible significance to the greater plots within World of Warcraft, it is a rare and beautiful event, and an obvious reverential reference to the folklore (dating back to at least medieval times) about these mycological occurrences. 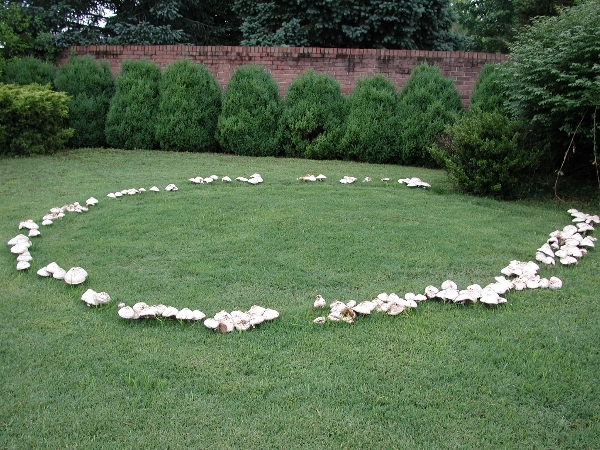 Fairy rings are one of nature’s many strange phenomena, encouraging a great deal of speculation specifically within folklore due to their striking appearance. They are said to mark the location of fairy dances, or rituals. Although modern mycology (the study of fungi) can easily explain the unusual appearance of fairy rings, they nonetheless continue to inspire art and literature of a more fanciful nature. 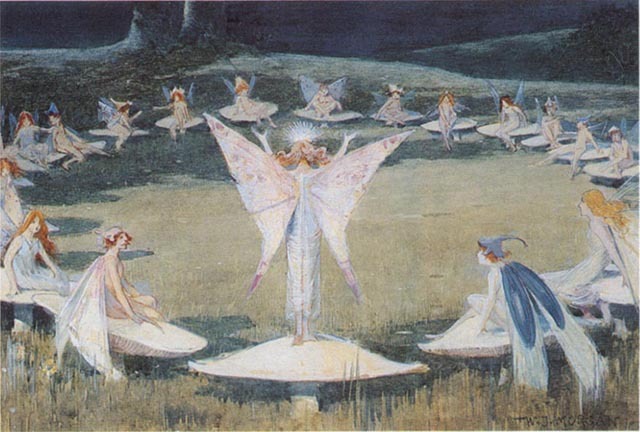 Much like the event within the game, fairy rings themselves have a wide variety of interpretations in folklore in cultures across the globe, but the general consensus is that such formations are best left alone. 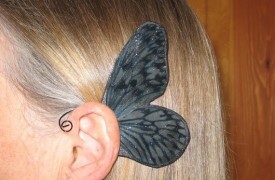 Nevertheless, here at FairyRoom, we are fascinated, and plan to explore more.